This has the potential to be a very long post but I’ll try keep it basic, since it’s late, I’m tired and the clocks are going back tonight therefore I will be getting up ‘an hour early’, so to speak. R does not believe in Daylight Savings! My pregnancy with R was relatively simple at first. Lots of morning sickness, a strange love of cold garlic bread. Then, at 30 weeks, a routine doctor’s visit turned into a hospital admission for pre-eclampsia. My partner was in the UK at the time, visiting his family, and the hospital is an hour and a half from our home town. After a two day stay, lots of blood pressure meds, two steroid injections and a bucketload of pregnant lady tears, R’s heart rate plummeted at 6.30am. I was whisked off to the operating theatre, where I was quickly anaesthetised for an emergency caesarian section. R was born at 7.01am, weighing 3lbs. I woke up completely confused hours later, and so began the long, painful NICU journey. R required help breathing at first, then some phototherapy for jaundice, and a feeding tube. It was establishing feeds that presented him the most difficulty. He brought a lot of it back up. We were told this was relatively normal for preemies. Kangaroo care, first bath (we got to watch a nurse do it as there were too many wires), first bottle. Pumping around the clock. No sleep. We woke up, we caught a bus to Dublin, we stayed with R ’til late, then a bus back home again. After nearly two months, R was discharged. We were ecstatic, but terrified. I remember bringing him into our home and just staring at him, asleep in his carseat, thinking “What do we do now? How do we take care of this tiny, tiny little baby ourselves? !” Panic. Then joy as he woke up, not crying really, it sounded closer to a sheep if I’m honest, a little bleating baby boy who loved to sleep all day and stay awake all night. Those first months flew by in a blur of sleep deprivation, anxiety and moments where it would actually hit me that he was here, he was my son. I was his mother. We had been told from the beginning, to expect him to meet milestones later than his full-term peers. So at first, we brushed it all off. Not sitting up unaided? Yeah, but he was so early. Not holding his bottle? Preemie. R did not sit unaided until he was one year old, and it was then we began to see professionals look slightly worried. He was not weight-bearing on his feet, at all. When we held him up, he would tuck his legs up towards him and cry. He suffered terribly from silent reflux, so we had always assumed that was why he hated tummy time with a vengeance. Suddenly, we were filling in forms and being referred to early intervention. It was only when R was 18 months old that intervention actually, well, intervened. R met his first physiotherapist. Nothing worked. We got another physiotherapist, who was also stumped by his strange mannerisms, sensory defensiveness and lack of physical progress. R’s first occupational therapist diagnosed him with sensory processing disorder, at two and a half. By this time, R had never stood unaided, but could pull himself to stand on furniture. He could cruise a little, too, but only right up on his toes. Most of the time, however, he got around on his knees. He bum-shuffled for a month but quickly realised his knees were faster. Lots of face-planting. Lots of cuddles. By the time R was nearly three, my partner and I knew he had autism. He flapped from the tender age of six months whenever he looked at things like spinning wheels, birds, etc. He had to have everything a certain way, particularly when it came to things like leaving the house, mealtimes, bedtime. Naps ceased at the age of two, straight away. He just didn’t need that much sleep. I do count my blessings, though, as he does sleep well at night most of the time (touch wood!). There were other issues, too. R never progressed passed mashed food. He could not stand to be near, much less touch or eat, anything wet or slimey. You’d be suprised how many foods this encompasses. So, there we were with our two and a half year old son, fighting for an autism assessment, completely clueless as to how we could help him to cope with everyday life. I’m not going to mince words – R screamed a lot between the age of three and four. At one point I was prescribed ear buds by my doctor as I had a double ear infection and the screaming was literally hurting me. R’s meltdowns ranged from issues such as water spilled on the floor, to an unexpected guest, to the sun going behind a cloud when he wanted to play with his toy car in the sunshine on the tiled floors. Family and friends wondered why we couldn’t just bring him over to visit. We wondered would we ever leave the house again without an hour of prep, a packet of toddler crisps and arranging everything just so. Honestly, after the initial SPD diagnosis, everything kind of blurred again. Lots of a therapy appointments, lots of physiotherapy trying to stretch R’s hamstrings and achilles tendons so he could stand flat-footed. Nothing worked. 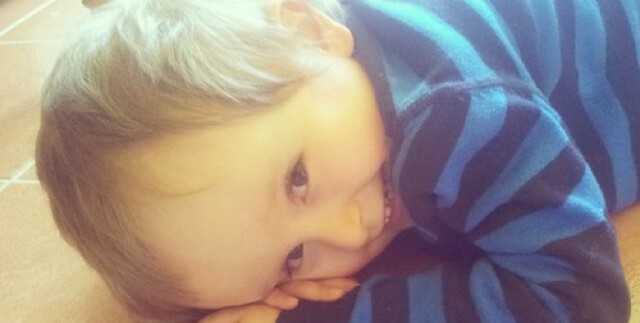 He got diagnosed with ASD just before his third birthday. We cried. We wondered what we could have done, was there anything we could have done at all. Then we got angry that we were not getting enough information, enough help from people who were supposed to be helping. And then, we turned to each other and realised we just had to tag team it up, work together and keep our heads above water whilst we figured it all out. Or tried to. Slowly, very slowly, we started to learn how to manage autism in our lives. How to predict a meltdown, when to just step back and let it happen and when we could have a chance to step in and redirect. We got a cat, and then a dog. R loves animals, and we like to joke that they are our living companions-slash-sensory-pets. R is very much verbal. He has huge, huge anxiety issues that hinder him in many ways. He doesn’t do suprises. We don’t use visual schedules as they actually made his anxiety worse. R has major digestive issues, and is on a dairy free diet. Due to the enormous trouble going to the toilet, he is not toilet trained. I know he’ll get there when he’s ready. We have been waiting to see a GI doctor for nearly a year to find out if something is affecting his bowels. We tried a specialised ASD preschool and after a few weeks of constant meltdowns, no sleep and barely any food in his tummy we made the decision to educate him at home and haven’t looked back. He has been a lot happier ever since. Educating him at home is exactly what he needs. If he has a stressful morning, we can just chill and do some learning in the afternoon. We go out as a family to places that interest him, as well as the usual grocery runs. We get involved. We all share our interests and if R decides he wants to learn about Chevrolet wipers, we will make sure whatever encourages and aids his learning is easy for him to access. We do the best we can. R has a self-propelled wheelchair as well as a buggy. I have no idea if he will ever walk unaided, feed himself etc. etc. but one thing I do know is he has been through more in his short four years of life than I ever could have imagined when I sat crying with happiness after discovering I was pregnant. Sorry this post is monstrous! I promise I don’t usually have the energy to write so much but I want you all to get a good insight into our lives before I delve right in with the everyday hustle and bustle.